750 mL bottle tried 3 Jan 2009. Poured in a Blue Frog pint glass. Corked bottle is nearly impossible to open, had to fight with it for a good 5 minutes, thought it was going to break off in the bottle. Large tight yellowish head, quickly dissipating. Well carbonated. Slightly cloudy orange gold color. Aroma has odd scent of lemon, butted carrots, caramel and resin. Quite caramel sweet upfront which transitions to a bittersweet hop finish. Some cider/apple flavor in finish as well. Ethanol noticeable throughout but quite warming in finish. Medium body. Large disparity between me and A on the (total)score, which is unusual (she liked it better). Would not get again at this price (~$9, Ledgers). Appears a hazy orange toned amber with a small, off-white head that quickly fades out. Streaky spots of lacing are left around the glass. Smell is of herbal, earthy, citrus, and bitter grapefruit. Taste is of the mentioned aromas with nothing more coming through other than some herbal hops. Mouthfeel is medium bodied, slick, oily, hoppy, earthy, and bitter in the swallow. Pours with a three finger thick, pale tan colored head that sits atop a hazy, light amber colored brew. The aroma is interestingly hoppy; a mix of thin orange juice and fresh pressed apple cider; this beer is very fruity and not necessarily just because of hops. The cider note is quite prominent, and certainly uncharacteristic. The cider flavor continues in the flavor, though it mixes with some citrus notes a bit more than in the aroma. A mix of pine, menthol and a touch of astringent bitterness adds a balancing note to the sweet, weird fruitiness. What an interesting beer, certainly it has aspects of a lightly hopped IPA, but the cider flavors are quite a bit unique and I wonder where these flavors come from. Ultimately though this beer is just a bit too divergent to be a great IPA. When you consider that this is a double IPA, well this is just a touch on the weak side. As a beer without a label, this beer is not half bad, it is just not a Double IPA. Still it is quite drinkable, and even enjoyable in its own right. My, saw this at BevMo and could not resist. Very nicely packaged -- caged and corked, no less -- DIPA. Appears to have potential. Appearance: Slightly hazy egg yoke orange. Head needed a bit of coaxing, but a creamy, moderate berg with fairly good retention and what appears to be lively carbonation. Smell: Hmmm... uh... well, you kind of have to look for it, but I find a bit of of typical citrus, herb, a bit of bread and yeast, slightly cardboardy malt bill. Meh. Taste: What is going on here? This is the second DIPA in as many sittings with this profile. Super herbal -- almost pilsner -- hops, a bit metallic, with a thin, dry papery malt bill and an almost salty yeast finish. No fruit from the hops, no body from the malt. It's overly spicy, tight, sharp, shrill -- it just ain't no fun. Mouthfeel: Again, no picnic. A bit heavy on the carbonation, a bit light on body or hop oil smoothness. And, again, meh. Drinkability: Quite pricey and, bluntly, just not that good. It's a great bottle, but it needs to be filled with a better beer. Blurry apricot with lemon peel highlights and way too much carbonation. The pillowy crown was four fingers after a fairly gentle pour, and isn't shrinking very rapidly. Good thing it has a wonderful texture and is doing a pretty good job in the lace department. The nose is passable at best. It isn't pungent enough, but at least there are no off-aromas that sneak past the hops. The lineup includes Galena, Summit, Liberty and Cascade. The result is an orange and lemon citrusiness, along with an underlying herbal-earthy vibe. The Big DIPA... isn't big. In fact, it's one of the weaker beers of this style that I've had in quite some time. Although the bottle is fresh, it tastes like the hops have been mellowing over the past year or so. How is it possible to get a claimed 83 IBUs with such weak hop flavor? And almost no bitterness! The malt tastes primarily pale, with a hint of something slightly toasted. 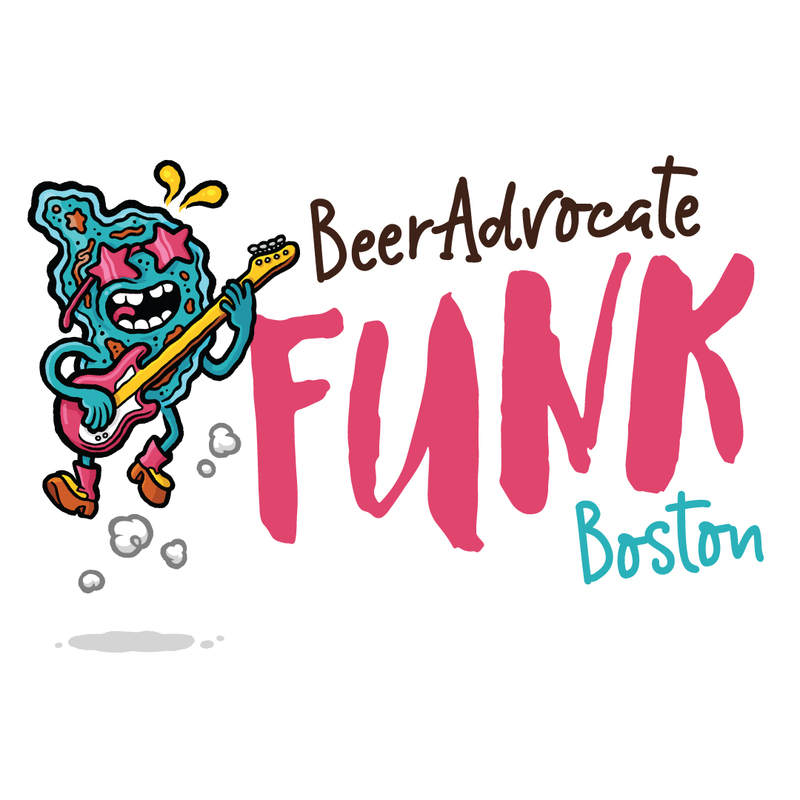 The grapefruit and orange zest flavors are akin to a scantily hopped APA, not a DIPA. And certainly not a 'Big' DIPA. To be fair, there is a moderate bitterness that accumulates on the tongue over time. No appreciable alcohol makes it an easy drinker... if you don't need much flavor. Despite initial fears, the mouthfeel isn't too buzzy. In terms of size, it's big for an APA and small for a DIPA. That's another reason why it drinks so easily. Since drinkability is more than 'ease of', the score will stay right where it is. Blue Frog's The Big DIPA comes in an impressive, silk-screened, wax-dipped 750 ml bottle. Trouble is, none of that matters when the contents of the bottle fail to impress. I hate to be too hard on this 'little' DIPA, but it really does need a lot of work before it can be taken seriously. Pours with an unusually light pale peach hue topped with a scant, vanishing thin khaki wafer of splotchy collar coating leaving zero residual lace in the glass. Nose is a diluted malty soup that evokes hints of metallic smells. With my best efforts, aroma is asleep at the switch here. At least there is a flavor to counterbalance the lack of bouquet. Afterall, don't we hop heads seek aroma? First swigs: Blitzkrieg of copper brassy hops and orange peel. This is a rough mettalic 2IPA. Middle of foamy frothy tangerine. 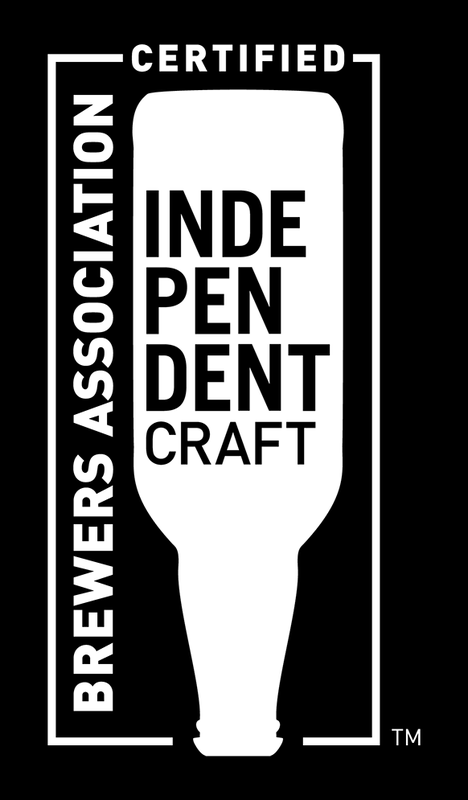 A moderate bittering factor evolves, but bittering alone not does make a 2IPA. Feel is lacking hop zest and lingering bitter finish. Needs more full balance. Feels and tastes more like a IPA in all respects. A tad too foamy. Compliment: Sturdy balanced finish albeit not bold. Last swigs: Perhaps this is actually a big English style IPA. Bottle info espouses "English toffee, and fresh baked biscuits. Carmel notes, hoppy lovin' and slight yeastie notes." Seems difficult to find. Picked up on a whim from Hi-Time in Costa Mesa, CA. If this were a pale ale, it would be excellent, but as a big ole 2IPA it misses the mark. Beer is good. Happy acurate beering. Beer is good. Happy better English 2IPA beering. I gaze upon this beer and I see a clear copper colored ale with a tall off-white head. The smell is sweet and a little herbal with a little noticeable ethanol in the scent. Hops are pretty much missing for a DIPA. The taste begins neutral in sweetness and with a little herbal taste. WHERE ARE THE HOPS? I have had quite a few of the super IPA class beers and they all had lots of hops, except this one. Mildly fruity taste and a little herbal but this isn't a DIPA. It doesn't taste bad; this just isn't remotely a DIPA. This could be an average Belgian Strong Pale Ale, but it isn't a hop bomb by any stretch of the term. Pours a hazy dark amber color with a huge pale off white head that resists fadig. I've got to say...it smells like as$. I mean i wanted to puke when i stuck my nose in it. The mouth feel is medium to full bodied. The flavor mirrors the nose..i couldn't keep it in my mouth long enough to describe it. I get some honey, and biscuit malts but the total package is a big let down. Amen, for the bottle art..most redeeming characteristic. i recommend avoiding this one. Appearance: Pours a hazy, orange-gold body with a thin, fizzy white head. Smell: Aroma of biscuity malts, orangey citrus, and good ole fresh, clean soap. Taste: Biscuit malts with a toffee-like sweetness. Citrusy, soapy hop flavors. Medium bitterness. Bittersweet finish. 22oz bottle shared courtesy of weeare138 - special thanks to Tom for verifying with the Brew Pub that they bottle beer (inside joke there). Poured a medium amber color with an averaged sized off white head. Aromas of citrus, tropical fruits, and caramel. Tastes of caramel, pine, citrus, and tropical fruits. Pours hazy golden with a slight head. The aroma is slight but malty. The flavor is confusing - more pale ale than IPA, let alone DIPA. There is lots of toast and roasted nuts, a little earth, and a surprising lack of hops - hardly any flavor and a slight bit of bitterness. There is some grass as the beer warms, but still fairly mild. The mouthfeel is dry and a little tannic. The overall effect is puzzling and disconcerting. This big ol' DIPA in a corked and caged 750, sent as NO BS BIF 3 from the great one - Soloman420. Many thanks again. After 10 minutes prying that death cork out, she poured a clear amber with a massive head of thick ivory. Plenty of piney citrus in the aroma - west coast style for sure. Subtle notes of woody pine mix in with the quaff. Tasty brew, but not as lip smacking juicy as I've come to expect from the CA. brews. This would be a very nice English IPA, as the 8% is non-existent in the taste along with the wood resins. Needs a big more ummph and piney/citrus hops to reach &lt;BIG&gt; DIPA status, but still very nice and I enjoyed every drop. 750ml brown bottle silk screened graphics and the corked and caged finish have a nice look. Beer needed a bit of force to get a decent loose bubbly white head. Light orange body with a touch of a chill haze. Hmmmm. While I don't find many glaring flaws I don't find much to get excited about either. Seemed more like a weak amber ale than anything to do with a Pale, IPA or much less a DIPA. Good god man who comes up with the beer styles over at Blue Frog. There is an underlying slightly toasted but more bready malt base. Watered down candied fig and a drying hop presence mainly in mouthfeel and nothing more. Dissapointing to say the least. Notes: Seeing a new beer sometimes gets the best of me. I thought about just picking up one but I picked up 3 and for the price I"m pretty much let down. If you like an overpriced boring watered down amber ale pick this up today!! Kind of a mess. Cloudy orange with a frothy off-white head. Grassy, piney hops, oats, cereal, and grapefruit in the nose. Caramel and citrusy hops are prevalent, but there is also a lot of soap and a metallic bitterness. Finish is earthy and wheaty. Not worth the price. I wish I had read the review before mine before I picked this up. Oh well...let's see how I feel about it. Fill date on my bottle is less than 30 days ago. Pours a cloudy orange with a large craggy slightly off-white head that surprisingly doesn't stick much but does hang around a while. Aroma is fruity hops and an unfortunate sour butter smell. Sharply bitter citrus hops hit the tongue first with very little of the malt sweetness you would expect from a DIPA. Hops are definitely present however along with a strong alcohol....both elements missing from the previous reviewer's bottle. Flavor continues with the bitter citrus peel hops as you continue with your drink. I can't really identify either the type of hops nor even the kind of citrus I'm tasting...probably a blend of several. Aftertaste is drying and sort of nice....especially for a DIPA since there is absolutely NO sticky, sweet residue. Mouthfeel is comfortable but a little thin. Not world-class...not great...but not too bad either. And (probably due to the high ABV) I am enjoying it more the more of the 750 ml I consume. Not worth the high price, however. I may come back and re-evaluate my scores when I uncork the other bottle I bought. A-Golden hued copper with a medium off-white head that left decent lacing behind. S-Light notes of floral and citrus hops initially with backing support from sweet biscuit and some caramel malts. T-Overly sweet upfront and not hoppy at all. with some warming citrus/floral notes come through but by then it is too late. This one is a disappointing sweet malty mess to me. It's not "bad" simply not good. M-Medium-light body with a decent hop bitterness and dry finish. D-The BIG DIPA, really? Maybe big in the malt department...but one would not expect this coming from a CA brewery. A beer I can safely say I didn't care for all that much. I think I will pass on ever having it again....except I would be curious to try it fresh on draft to see if this is what they are truly aiming for. Purchased for about $9...I sure hope this is worth it...and based on the previous reviews, I'm worried. A: Cloudy/muddy amber with a 3 finger semi-fizzy white head that does leave lacing. S: Biscuity malts and a touch of hops. Hmmm, this is supposed to be a DIPA - where are the rest of the hops? T: Biscuity malts with some kind of artificial tasting hops. When I had the first sip, I was wondering where the hops were. In fact, I thought this was pretty bad. But, as it's warmed up, the hops came out a bit more. They are still quite weak...pale to ipa level, but definitely not DIPA. Bummer. M: Decent mouthfeel. Relatively carbonated. D: Ehhhh, it's boring and not all that well made, so drinkability is not high. Not recommended. Way too expensive for a mediocre beer. I'm 0 for 2 so far from them. I think I'll avoid anything else from them unless I hear something positive. Went to Bevmo today, didn't even have an intention on picking up any beer, but this caught the corner of my eye, and there is NO way I can turn down a Double IPA. So let's check it out. A: Pumpkin orange color thats rich and cloudy. Linen colored head with medium and large bubbles. As the head dissipates it leaves lacy swirls on the glass. S: Not much smell, just some very faint pine, shellac and mineral essence. T: Harsh and acidic, all I taste is paint thinner mixed with resin. The mouth is filled with bitterness like an unripe pineapple. Some faint pine is the only real hop characteristic found. M: Medium body, with large sharp bubbles. 750ml. cork/caged brown bottle with gold and white silk-screened full wrap label. It pours an orange-gold with a small white head that slowly builds. The smell is sweet flowery citrus and a slight piney hop. The taste is much the same with a notable bubblegum flavor to it. More sweet than hop bittery, the hop residuals at the end of the bomber did have a bit of bite. Light to medium in body, the mouthfeel a bit watery thin with some tingle on the tongue from the carbonation and hops. Definetly worth a try, but it's not as BIG as it's label suggests. A corked 750ml bottle, over-packaged if you ask me. Poured into a shaker glass. Appears a hazed copper color with about a finger or so of bone white foam. Minimal retention and no lacing to speak of. Nose and flavor are of a good dose of caramel malt, toasted bread, some citrus and floral notes, but really nowhere near enough to claim itself a DIPA. Smells much better than it tastes. Medium in both body and carbonation. Don't care if this ever passes my lips again. 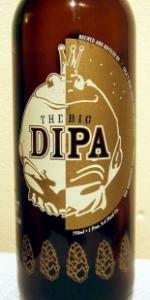 The Big DIPA No. 3 is a clear pale bronze with a large, creamy light sand head leaving lots of gorgeous lace. Smell is malty, with a pretty strong, minty hop aroma. It reminds me of EKGs, which is unusual for a Cali DIPA, but they pulled it off, as noble hop beers that are over-hopped often come off too leafy to me. There's also the stemmy bite I note in the taste. Taste is also rather malty, with spicy, resinous hops, with a sharp bite that I can best describe as stemmy, like wood, maybe a little bit of peanut butter, a taste I've come across in Alpha Dog. And like that beer, this one didn't taste to great to me on first sip, but won me over quickly. Mouthfeel is creamy and dry, medium bodied. Drinkability is pretty good. From the previous reviews, I had low expectations, which I thought were validated by the first sip. But I'm glad I stuck with it, as it had a lot to offer, albeit from a different perspective from it's interstate brethren. And I can't think of anything more Californian then that. Overall, a good DIPA, a nice change of pace and a pleasant surprise.